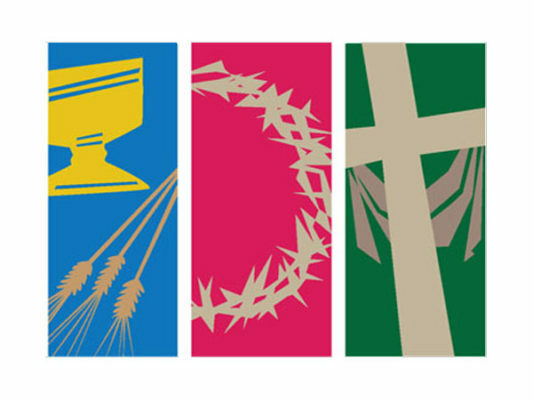 “How do you approach Holy Week?” I asked my friends, the Episcopal priest and the Lutheran pastor and theology professor. And yes, we were in a bar. One of them answered, “As a pilgrimage in place, a retreat in the midst of ordinary life.” And that resonated with me. Then we all bemoaned a common experience—the lack of full participation in the week’s events. We understand, as we have been taught and personally experienced, that it is inauthentic to leap directly to Easter joy and celebration without first encountering the solemn devotions of the earlier days in the week. Growing up Southern Baptist, we did not observe a liturgical calendar, and so I remember Easter Sundays where we had to kill Jesus before resurrecting him. Discombobulating indeed. As a high schooler I began to participate in Holy Week services at the local Episcopal church where some of my teachers attended. I relished the richness of a Maundy Thursday Seder and communion followed by the stripping of the altar and a Good Friday stations of the cross. Holy Week came alive for me. Each church I’ve worked at has done different things. Rolling Hills had one service on Thursday and packed meal, communion, and Tenebrae all in one. Royal Lane only had a Good Friday service and it was a solemn and dark Tenebrae primarily led by the choir—sometimes it was a joint concert with another church to perform one of the great musical settings of the crucifixion story. At Cathedral of Hope in Oklahoma City we observed both, with Thursday being a fun enjoyment of the ancient feast with communion and footwashing and Friday being a time for readings and music connecting our own suffering with that of Jesus’. This last year the Worship Ministry studied and discussed Holy Week and our approach to it, in order to arrive at what we think would be best for us now. In recent years we have seen some changes, including a renewed interest in Good Friday and increased involvement of laity, but some puzzlement over what we should do on which days. The Ministry wanted to be sure we included: a crucifixion liturgy, a contemplative moment, communion, and good music. So on Thursday, we will gather for a meal and our focus will be communion and intercessory prayer. On Friday, special music, silence, and the crucifixion story will engage us in solemn devotion as we reflect not only on the suffering of Jesus, but the Good Fridays of our own lives. Then, for our Easter Sunrise service, we will this year, for the first time in a long time, meet at Prospect Hill Cemetery, Omaha’s pioneer graveyard where so many of our founding members are buried. I invite you to dedicate the time and the spiritual devotion to joining together in worship for these Three Great Days.